Our country relies heavily on farming crops and gardens for produce. Plants, grass and vegetables all need a healthy base in order to grow. Fertilizer is an essential component to making this happen. Chemically induced fertilizers are commonly used, but research is now showing the negative effects of using such products. CR Brown Enterprises is proud to offer you our revolutionary non-chemical, organic fertilizer. We make a 100% organic and natural fertilizer that will give you better results in plant growth and soil health. We use the freshest fish from the mountain streams of North Carolina. Through a cold process of using the fish’s enzymes to transform from a solid to a liquid, it is then held in a tank to ensure a constant liquefied product and filtered through a mesh screen to avoid blockage. In the end, our safe, easy to use and effective product is made. Our Hydrolysate fertilizer is a nutritional, natural and needed protein for optimal growth. Why should you choose our non-chemical fertilizer? The answer is simple. It improves soil structure, grows beneficial bacteria and fungi for better nutrient and moisture retention that the plants need and it is environmentally friendly. Don’t compromise your health and the nutritional value of your plants. Give our healthy fertilizer a try today. There is no secret method to the effectiveness of our product. All you have to do is sprinkle the fertilizer and water regularly; soon enough you will see desired results. Our organic fertilizer has an extensive shelf life as long as it’s free of excess water. The organic fish emulsion process is revolutionary and unlike any of our competitors. An emulsion is where the product is cooked, killing a lot of the heat sensitive nutrients, and the oils are taken out and sold separately. Our hydrolsate products and fertilizer are great for any type of garden because it is cold processed and all the ingredients are left in. Brown’s fish Hydrolsate is the ticket to guaranteeing healthy soil and plentiful crops. For your shopping convenience, you can purchase your organic fertilizer right from our website. Please feel free to contact us with any of your questions. 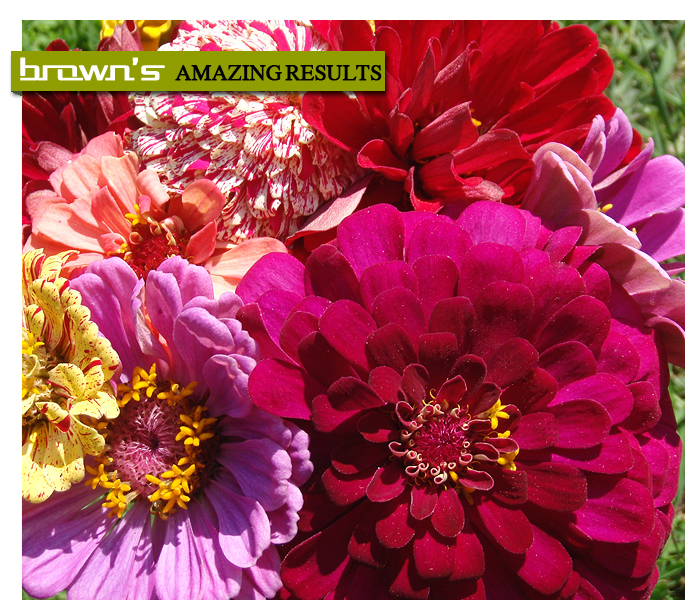 These bright and full flowers were grown ORGANICALLY usingBrown’s Fish Hydrolysate. The size and health of these flowers were amazing! This kershaw was grown using Brown’s Fish Hydrolysate. 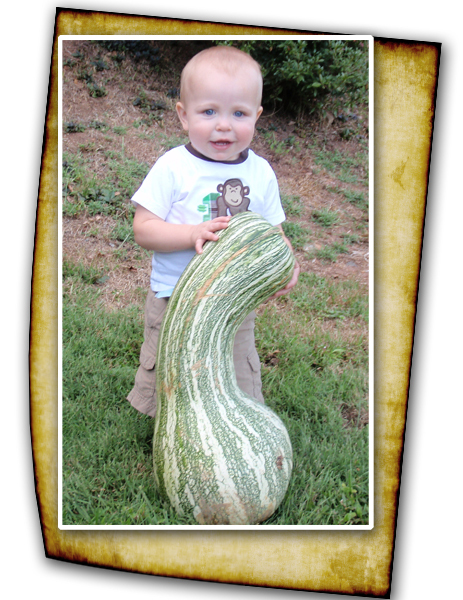 It was picked more than a month early for this photograph, and on the small plot where they were planted, there were close to 50 other Organic kershaws that ended up growing much bigger than this one!!! 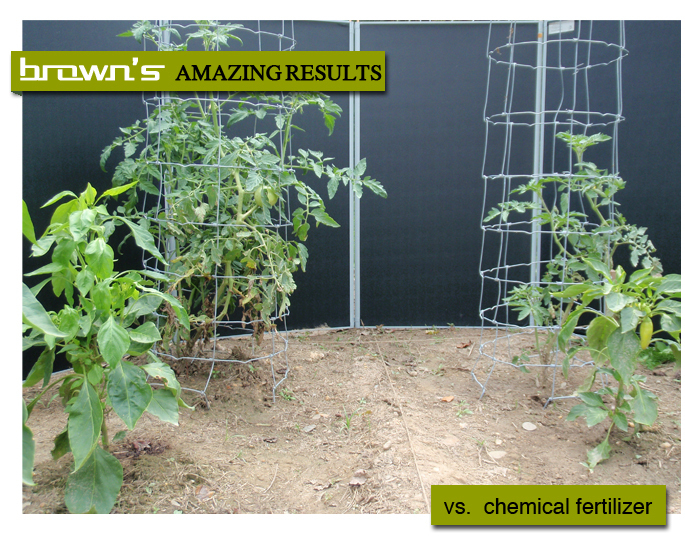 The tomato and pepper plants on the left were grown using organic Brown’s Fish Hydrolysate, while the plants on the right were grown with a chemical 10-15-10 fertilizer. Not only was there a huge difference in size, but the plants using Brown’s Fish Hydrolysate produced 500% more fruits and vegetables. The taste difference was also incredible! “I have been using fish fertilizers for over 25 years and selling fish fertilizers to other farmers for over 15 years. Brown’s Fish Hydrolysate is the most consistent, high quality fish product that I have ever used.